Saudi Arabia has just taken on a huge chunk of foreign debt. For the first time in its history, the world's biggest oil exporting country sold bonds to global investors. It raised $17.5 billion Wednesday, according to two sources familiar with the matter. The bonds are due to be repaid in 5, 10 and 30 years. Officials at Saudi Arabia's finance ministry were not immediately available for comment. The sale is symbolic of the kingdom's shifting fortunes. Just five years ago it was unthinkable that Saudi Arabia, with its vast oil riches, would need to borrow money from abroad. But the crash in oil prices has turned the kingdom's massive budget surplus into a gaping hole. It has already been forced to borrow from Saudi banks, and burn through a chunk of its foreign cash reserves. "This is very positive step," said John Sfakianakis, director of economic research at the Gulf Research Center in Riyadh. "It will alleviate the pressure on the local banks, provide alternative revenue options and reduce the rate of foreign asset depletion." Saudi Arabia, which relies on oil for three-quarters of its revenue, had a 2015 budget deficit of nearly $100 billion. In addition to borrowing more, it has been forced to slash spending by cutting salaries and subsidies on gas. It's not just Saudi Arabia feeling the pinch. Other Gulf states are borrowing money too. Oil-rich Abu Dhabi issued a $5 billion bond in April, neighboring Qatar raised $9 billion a month later and Kuwait is planning to tap the international debt market for as much as $10 billion. Very low interest rates in most developed economies are pushing investors to seek better returns elsewhere. The Saudi 30-year bond pays 2.1% more than U.S. treasuries, according to a banker familiar with the deal, and experts say investors are looking beyond the immediate challenges posed by weak oil. "There is a demand out there which is based on the inherent potential and strength of these economies," said Masood Ahmed, the Middle East and Central Asia Director for the International Monetary Fund. "Going forward, it will be important to accompany the attempt to get financing from the market with a credible coherent fiscal plan, a medium term plan to transform the economy because that will give ... more comfort to the investors." Despite a recent increase in the oil price, the outlook for the region's oil exporters remains weak in the coming years, the IMF said in a report published Wednesday. It said countries should accelerate reforms to diversify their economies, boost the role of private companies and create jobs for their fast growing populations. Earlier this year, Saudi Arabia unveiled an ambitious diversification plan. 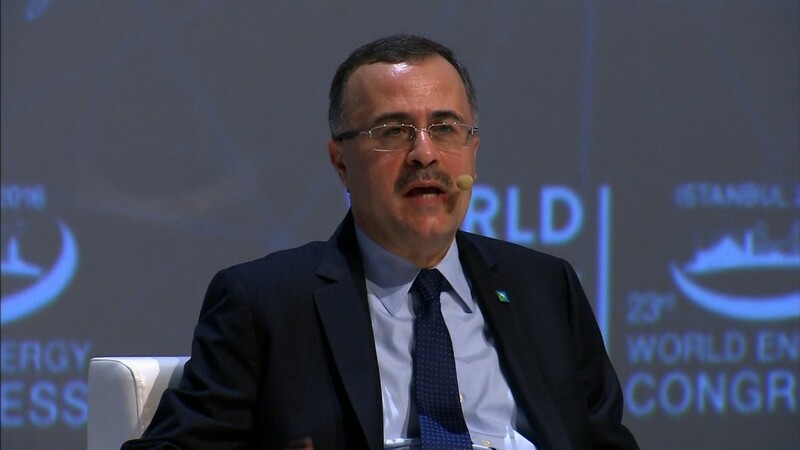 Under the plan, Saudi Arabia wants to boost non-oil revenues sixfold to $266 billion, sell part of national oil company Aramco on the stock market, and create a $1.9 trillion public fund to invest at home and abroad. "I think it's great that they have a vision. It's important to tell the people the end point of where they want to go," said Ahmed. "The challenge will be to implement, prioritize, sequence these programs so that in three years, people can begin to see the results."